Summer is in full swing here in Lee’s Summit, so we imagine you aren’t spending much (or any) time worrying about your heater right now. Sure, you would almost definitely notice if something happened to your air conditioning unit, but how well is your HVAC system functioning as a whole? 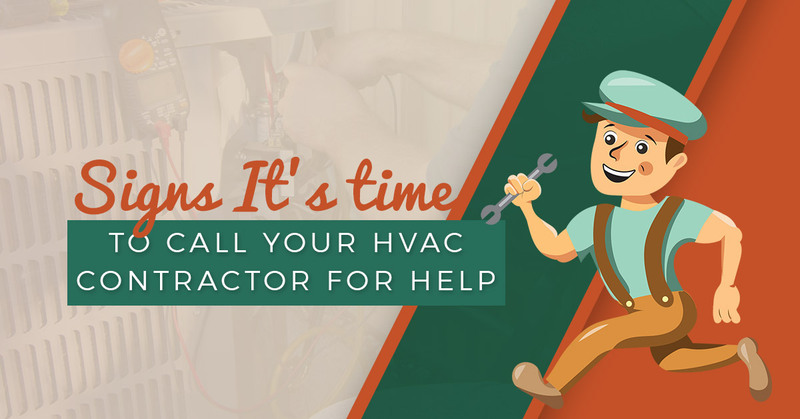 Keep an eye out for these signs that it’s time to call your local HVAC contractor to keep your system functioning well now, and all year long. If you turned your HVAC system off and enjoyed nature’s cool breezes to keep your home temperate during the spring, you can reasonably expect a bit of a utility bill increase when you turn your A/C on. However, if you’ve noticed an increase in your monthly utility bills for no reason, or if your bill has gone up drastically, it may be a sign that something has gone wrong with your HVAC system. You can expect a bit of a quiet hum or slight blowing sound when your heater or air conditioning kicks on. That’s just a signal that your HVAC system is working. What’s not normal, however, is squeaking, grinding, clanking, or any other irregular noises. Anything more than a gentle whooshing noise is a signal that something has broken or come loose in your HVAC system. Strange noises in your HVAC system are generally a big indicator that something is going wrong and an HVAC contractor will need to take a look. If you can hear your heater or air conditioner turn on, but you cannot feel anything coming from the vents, you may have a blockage. Check to see if your filters are clear or clogged with dust. If they look clear or replacing them doesn’t help, the blockage could be anywhere along the vent system. Check the vents to see if there is an apparent obstruction. Unless you find an obvious blockage near a vent, this will likely need an HVAC repair service to safely check and clear. A fairly obvious sign that your HVAC system isn’t working is the ambient temperature of your home. Say, for example, you have your thermostat set to 65 degrees Fahrenheit. When you walk through the door, it should feel nice and cool — not like a sauna. If the temperature in your home feels too warm or too cold, there may be issues with wiring or sensors that affect your thermostat. Unless you’re an experienced electrician, fiddling with the wiring and sensors is a job best left to the professionals. Turning on your heater for the first time in the fall (or your A/C in the spring) may send out a slight burnt or musty scent. A light smell is fairly common if an HVAC system hasn’t been used in a while. However, that faint scent shouldn’t last long — a few minutes, at most. If either burning or gas smells waft out after turning your system on, turn it off and contact your local HVAC contractors, as both smells are not good signs. If you experience any of these issues, something in your HVAC system isn’t working as it should. Contact Comfort Pros Heating & Cooling for professional, experienced HVAC contractors in Lee’s Summit.